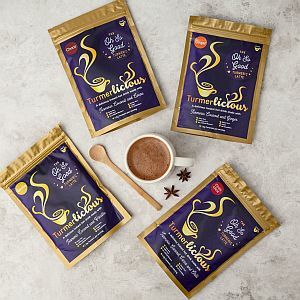 Click here to get your Turmerlicious now! Our DAIRY FREE range is suitable for vegans, those following a Paleo diet and anyone with a lactose intolerance. Plus Vanilla and Ginger are CAFFEINE FREE, whilst choco and chilli choc have a very tiny amount of natural caffeine in the coco powder. 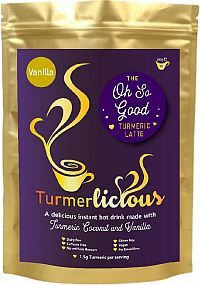 Making hot drinks with turmeric such as golden milk or a turmeric latte, is the norm across Asia and now many people in the west are following suit. However, it takes a bit of time to make it from scratch and so not really possible when you are on the go! 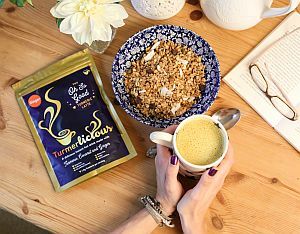 The beauty of Turmerlicious is that it does not contain refined sugar, we use naturally occuring low glyciemic organic coconut sugar. 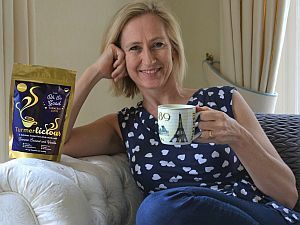 It does not contain genetically modifed organisms (GMO's) or gluten, there are no preservatives and is caffeine free (apart from a small amount of caffeine in the chocolate versions), it is so convenient and easy to make. 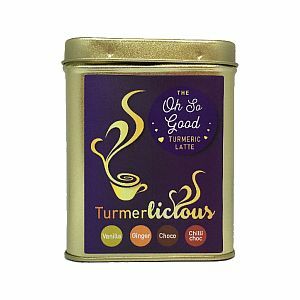 Simply add 3 heaped teaspoons to a mug, pour in boiling water, stir well and enjoy! That is it. 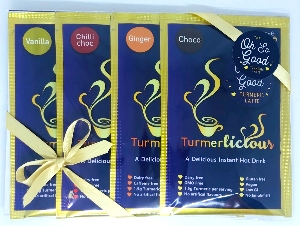 Want to resell Turmerlicious in your shop, hotel, health spa, gym or cafe? 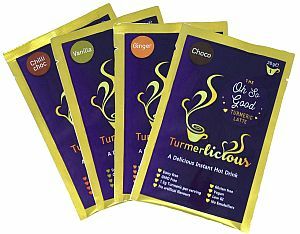 Are you interested in reselling Turmerlicious in your Health Food shop or Grocery store? or perhaps are you considering offering this delicious range of drinks to customers in your cafe? 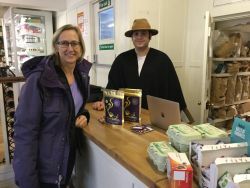 if you are you can find out about trade opportunities here.